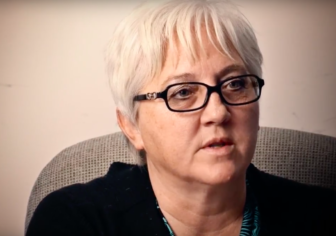 Robyn Allen saw her daughter for the first time in two years from across the yard of Oklahoma’s largest women’s prison, the Mabel Bassett Correctional Center. Because the two were serving time for the same 2013 methamphetamine case, they weren’t supposed to communicate. But as Allen’s daughter, Cherise Greer, was being loaded into a van on her way to another prison this summer, the guard turned away. “She told me she loved me and said, ‘Mom, please don’t cry,’ ” said Allen, 52, wiping away tears as she recalled the moment. When their paths crossed in June, Allen and her daughter were among more than 3,000 women serving time in Oklahoma, which for 25 years has led the nation in locking up women. The state imprisons 151 out of every 100,000 women, according to the U.S. Bureau of Justice Statistics – more than double the national rate. Reveal from The Center for Investigative Reporting, in partnership with Oklahoma journalism startup The Frontier, spent more than a year unearthing the causes. The reporting included obtaining a decade’s worth of state prison data never before analyzed by the state itself. The most common reason women end up in prison: drug possession. 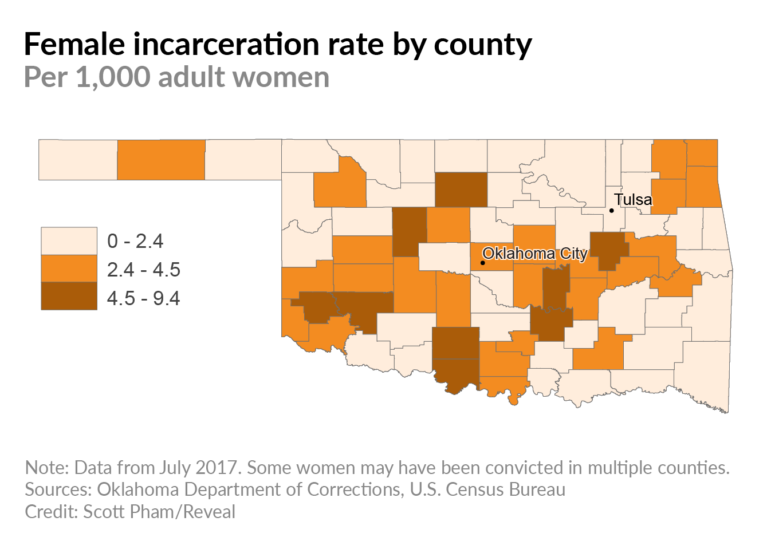 Oklahoma dealt out ever-longer sentences for these women, even as other conservative states reduced drug sentences as part of criminal justice system overhauls. 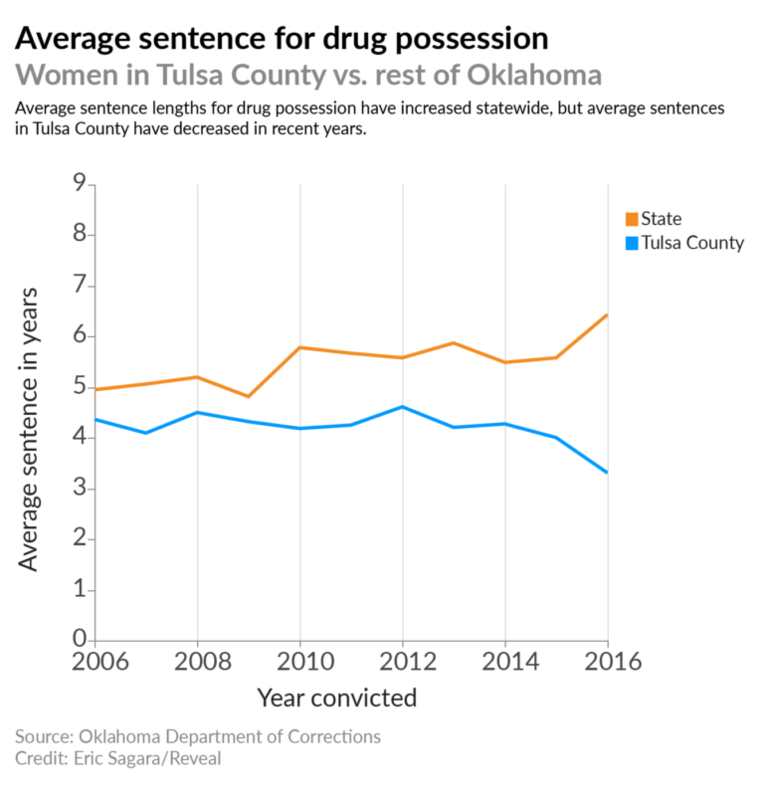 In Tulsa County, Reveal’s analysis shows that women’s sentences for some drug crimes decreased over the past seven years. That’s where an intensive program funded by oil billionaire George Kaiser’s foundation works to provide alternatives to prison for women facing long sentences for drug offenses and other crimes. The burden of the state’s high incarceration rate falls hardest on women of color. Black women are incarcerated at about twice the rate of their representation in the state’s adult population, Reveal’s analysis shows. For Native American women, the disparity is almost three times their share of the population. “I’ve jokingly told crowds we don’t have meaner women in Oklahoma. We just have some that have some issues,” said Fallin, the event’s keynote speaker. As a Republican governor of one of the reddest states in the nation, Fallin has warmed slowly to the idea of justice reform. She appointed a task force that studied Oklahoma’s justice system and recommended an overhaul to stem the flow of inmates. Recently, she pushed lawmakers to approve new reform laws, with mixed results. State voters got tired of waiting for lawmakers to act and passed reforms that became effective in July making possession of drugs for personal use a misdemeanor. It’s unclear how deeply the state understands the problem because it took a year and a half for Reveal to obtain a workable database to analyze. Even that data is imperfect, but it is the most complete of several incomplete and flawed data sets provided in response to a public records request filed in January 2016. Reveal found the average sentence length for drug crimes differs markedly throughout the state, with more rural counties having the highest female incarceration rates. Stephens County – a largely rural area where Allen and her daughter were convicted – ranked third per capita in sentencing women to prison. Allen was given a 20-year sentence after police found 20 grams of methamphetamine, an amount that just meets the legal definition for drug trafficking. Still, her sentence is nearly twice as long as the statewide average for women convicted of trafficking. 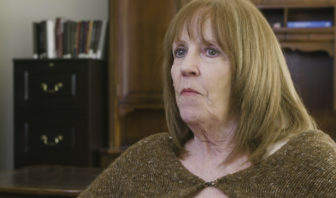 Susan Sharp, a retired sociology professor at the University of Oklahoma, is a nationally recognized expert on female incarceration. Her research shows justice is not dispensed evenly across the state. Her research also shows justice is not dispensed evenly across the state, displaying another example of the chronic equity divides in criminal justice across America. Poor women in Oklahoma’s rural areas are more likely to draw the wrath of judges and prosecutors. Women who can afford private attorneys are more likely to get shorter sentences for the same crimes, especially if they live in urban areas with specialty courts for drug addiction or mental health issues. Allen and her adult daughter, Greer, were low-hanging fruit in Duncan. The town is known for its rich farmland and colorful crepe myrtle trees. A sign on the way into town advertises Duncan as “Outlaw Country.” In the late 1800s, cowboys drove millions of head of cattle from Texas to Kansas along the Chisholm Trail, passing through land that later became Duncan. Allen said she had a feeling for months that someone was watching her – and that a knock on the door by law enforcement was coming. Instead, it was a kick to the door on a chilly February afternoon in 2013. Allen was smoking a cigarette in her bedroom when she saw Greer drop to the floor. The glowing red laser sight of a gun focused on Greer’s forehead. Allen thought she was a goner. They found the meth in Allen’s bedroom – most of it stashed in a black purse decorated with gold stars – along with glass pipes and other paraphernalia. Five adults lived in the stone two-story house – Allen, Greer, two other relatives and a friend – along with Greer’s 4-year-old daughter. The five were arrested and charged with drug crimes, but only Allen was sent directly to prison as a result. Her daughter, now 32, initially received probation but now is serving an eight-year sentence after a new drug offense last year. At the time of her arrest, Allen was out of work, waiting for disability payments for a back injury she said she suffered five years earlier while cleaning rooms at a Holiday Inn. The state’s disability waiting list never seemed to budge. In desperation, Allen traded the Lortab painkillers and Xanax she was prescribed by her doctor for meth, which she used and sold. She was caught with 20 grams of meth, the minimum needed to charge her with drug trafficking instead of possession. The charge was Allen’s first felony. Two decades earlier, she had misdemeanors for bouncing a check and failing to return a rented video game system. At her 2013 sentencing hearing, Allen told District Judge Joe Enos that she’d been addicted to meth for half her life. “It has destroyed my whole family. … I take full responsibility,” she told Enos. She asked him to send her to a drug treatment program. She had tried to get into treatment in the past, she told him, but no beds were available. 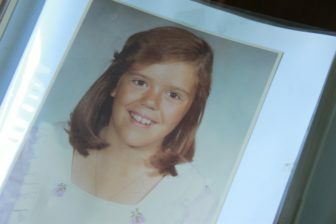 A family photo album shows Robyn Allen when she was in junior high school. The prosecutor asked for 30 years in prison, while Allen’s attorney argued for leniency – some time in prison, but also a treatment program. The drug, often made in homemade labs, killed 167 people in Oklahoma that year – though Allen had no established connection to any of them. In the end, Allen took a “blind plea,” leaving the sentence up to the judge, and Enos sentenced her to 20 years for trafficking in illegal drugs. That sentence is twice the maximum amount of time recommended by the state task force. Enos and the Stephens County district attorney’s office did not return multiple calls seeking comment. Enos retired from the state judiciary in January 2015 and now serves as a part-time municipal judge. When Allen first arrived at the Mabel Bassett Correctional Center – a 1,200-bed concrete lockup in central Oklahoma – a guard asked her: “Robyn, who did you make mad?” That’s when she said she found out that two women on the same pod received four and five years for trafficking. Allen wrote to Enos, asking him to reduce her sentence under a law that allows sentence reductions after a year. She didn’t hear back. Shorter sentences for low-level and first-time drug offenders could make a big difference in the state’s overall female incarceration rate. Reveal’s analysis focused on sentences for drug possession and distribution – two of the top crimes that land women in Oklahoma’s prisons. Women convicted of drug possession there last year were sentenced to an average of 6.2 years – a 29 percent increase from a decade ago. The exception is Tulsa County, where judges handed down shorter prison terms to women. Sentences for possession there dropped to 3.3 years in 2016, down by a quarter from 2006. Reveal also found evidence suggesting that Tulsa judges have been splitting sentences and assigning shorter prison terms combined with probation or other types of supervision. Tulsa County bucked the state trend in the number of women sentenced to prison overall, too. While that number has climbed each year since 2009 in the rest of the state, it fell by more than half in Tulsa County. The downward trend follows the 2009 launch of Women in Recovery, a Tulsa-based nonprofit program that has received national acclaim. While it’s impossible to attribute the decline to one factor, experts say the program deserves a large share of the credit. Women charged with certain offenses who face long sentences instead are diverted to the program, where they receive intensive oversight, including drug counseling, help with employment and life skills classes. At a graduation ceremony in February, 16 women filed into a packed, brightly lit room as friends and relatives cheered and clapped. One graduate recalled how she sold drugs, was addicted during her third pregnancy and had her children taken from her after she left methadone within reach of her 11-month-old baby. She was going either to prison or Women in Recovery. Women graduate from the program with a job, an apartment and often renewed relationships with relatives who may have given up hope. The program claims a three-year recidivism rate of about 4 percent. A new “pay for success” agreement soon will allow Women in Recovery to earn money from the state for each woman who successfully completes the program. 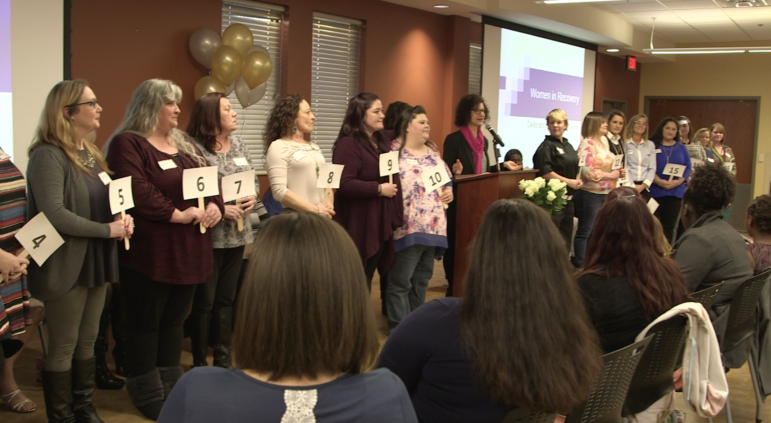 Former graduates of Women in Recovery, a Tulsa-based nonprofit diversion program, show up to support new graduates at a ceremony earlier this year. But while the program is praised for its impact, it reaches only about 150 women each year. The director of the state’s prison system, Joe Allbaugh, bluntly assessed Oklahoma’s failure to rehabilitate women. Less than one-third of women released from prison who needed treatment for drug or alcohol misuse received it in prison, according to an Oklahoma Department of Corrections survey. 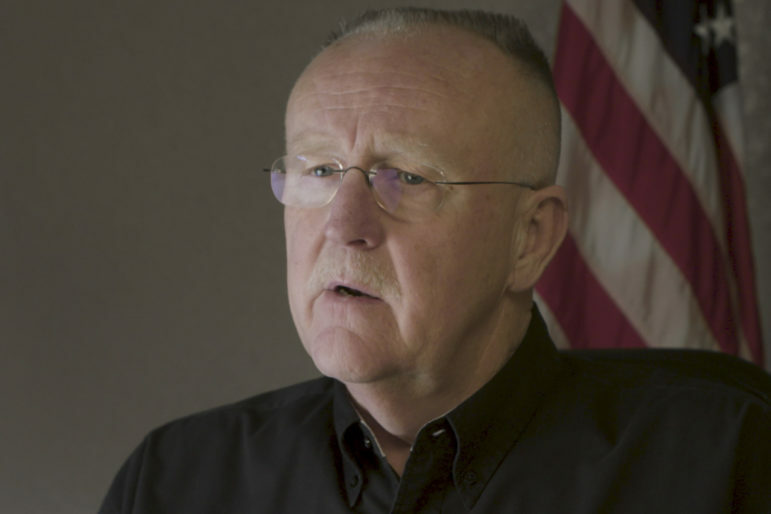 Joe Allbaugh, director of the Oklahoma Department of Corrections, is worried about how the state will continue to get by with dwindling funds and an increasing prison population. Allbaugh is worried about how the state will continue to get by with dwindling funds and prisons bulging at the seams. Hundreds of temporary bunks are crammed in spaces that once held treatment programs and life skills classes. Thousands of prisoners have flowed into costlier private prisons, and more than 1,500 are backed up in county jails, waiting for a prison bed. Oklahoma prisons are drastically understaffed and their staff are dramatically underpaid: More than one-third of the state’s correctional officers qualify for food stamps. Lawmakers scrambled to fill a budget deficit of nearly $900 million this year. Then the state Supreme Court cut off one bit of salvation, ruling unconstitutional Oklahoma’s reliance on a new cigarette fee to fill part of the gap. While costly new programs are out of the question, many reforms that would reduce the number of women in prison cost only political courage. The state task force that studied Oklahoma’s prison problem issued more than two dozen policy recommendations. Many focused on reforming the most punitive laws, slashing sentences for some drug crimes in half. State statutes list more than 30 crimes requiring those convicted to serve 85 percent of their sentences, including six drug crimes. Oklahoma also has a “three strikes” law that can result in women being sentenced to life in prison without parole for drug crimes. Today, at least seven women are serving life sentences for drug crimes. Kris Steele, a former Oklahoma House speaker, had an epiphany in 2009: Runaway spending on prisons wasn’t translating into a safer state. In 2012, Steele, a Republican leader, was an early advocate for reform, but found himself fighting a losing battle with the current governor, Fallin, and others opposed to reducing penalties for drug offenses. Steele now runs The Education and Employment Ministry, or TEEM, a nonprofit devoted to helping people re-enter the workforce after prison. He continues to advocate for reforms that save prison beds for the worst offenders. Other red states that tend to be tougher on crime – including Texas, Utah, Kentucky, Mississippi and Georgia – have revised sentencing laws so that most prison beds are reserved for violent and career criminals. Because it costs far less to treat people with drug addiction than it does to lock them up, low-level offenders could be placed in treatment programs and governments could plow the savings back into more diversion programs. That was the plan Oklahoma voters approved last year, making drug possession a misdemeanor and directing into treatment programs the money saved from sending fewer people to prison. Oklahoma County District Attorney David Prater was not among the measure’s supporters. On any given day, his Oklahoma City office handles the fate of more women than any other DA’s office in the state. The change, he said, robs prosecutors of a crucial bargaining chip. However, figures show the number of women being sent to prison from Prater’s county has increased 35 percent since 2009. Steele praised Texas Republicans, including former Gov. Rick Perry, now the U.S. energy secretary, for having the courage to support bold reform. “They said, ‘Look, you know, there’s people who are dangerous and need to be incarcerated. But we’ve got to make sure that we have the space and resources available to incarcerate those individuals and not the low-level offender who could be better served in the community through treatment and mental health care,’ ” Steele said. “The No. 1 thing that Oklahomans can do to address this issue is change their attitude about how we view women, how women should be treated, how we treat our children and how we treat each other,” he said. 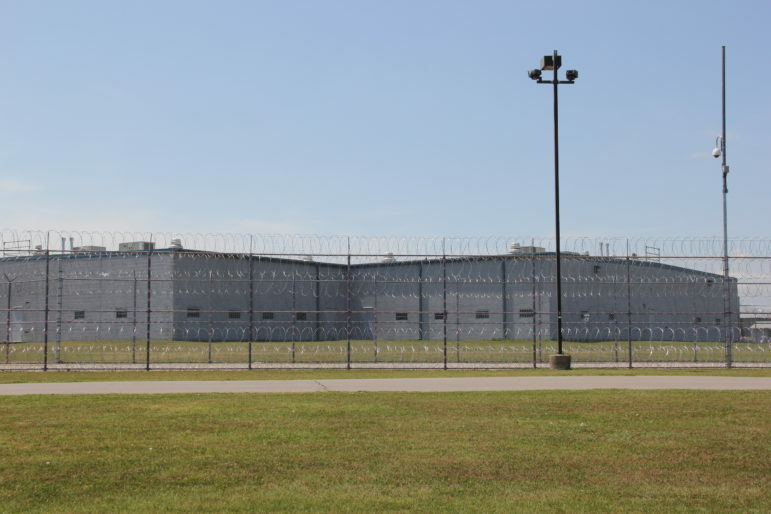 The 1,200-bed Mabel Bassett Correctional Center is Oklahoma’s largest women’s prison. The state’s 2010 survey of about 300 female prisoners found that two-thirds reported being victims of domestic violence as an adult. About the same number said they were physically or sexually abused as a child, and more than one-third reported being raped as an adult. 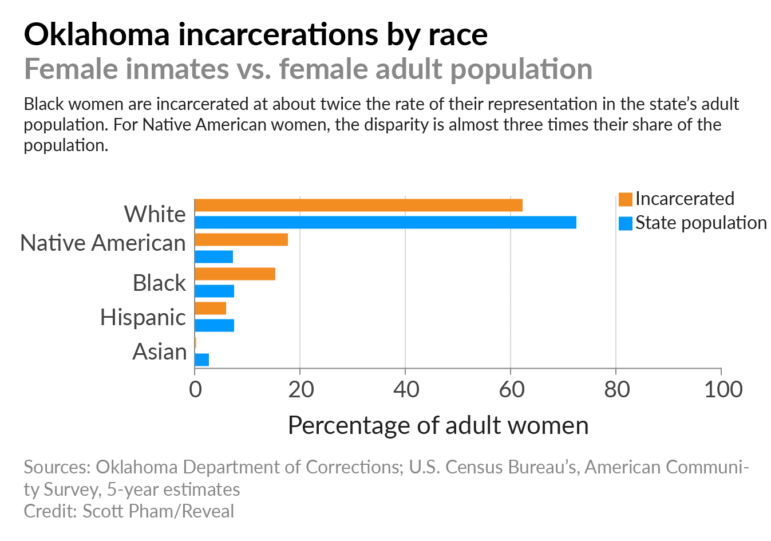 Sharp, the female incarceration expert, said some Oklahoma residents have a notion of “proper womanhood” that can warp the process of dispensing justice. By the time she wound up in prison the last time, Susan Watkins had suffered a lifetime of horrific abuse. She said she was raped when she was 5 and forced to watch a relative engage in sexual activity. Watkins, now 52, said that if she and her siblings didn’t watch, they would be punished. She married at 14 and later became hooked on the rush of meth, which made her teeth fall out. She lost her 23-year-old daughter, who died from a brain aneurysm. Mug shots through the years show the physical toll Watkins’ addiction has taken. 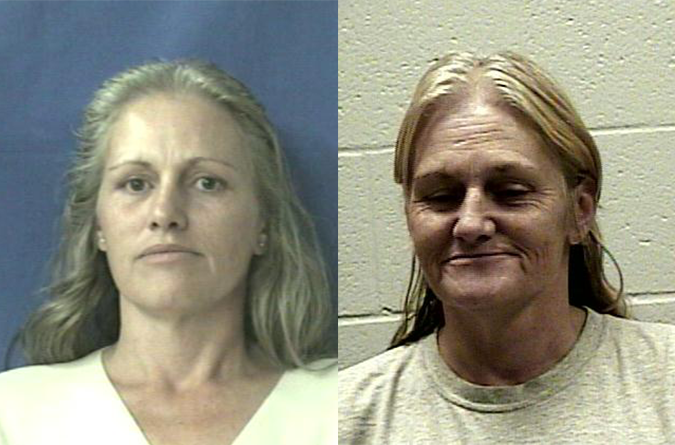 Mug shots of Susan Watkins from 2007 (left) and 2015 (right) show the physical toll of her meth addiction. Watkins went through the Dr. Eddie Warrior Correctional Center’s Regimented Treatment Program, where she enrolled in a communications class, worked on obtaining her GED certificate and started learning to read. She spoke with Reveal in September 2016 when she was at the Dr. Eddie Warrior Correctional Center, a minimum-security women’s prison in northeast Oklahoma. The facility is a collection of low concrete buildings spread out across a grassy campus dotted with a few trees. Watkins’ record illustrates the uneven nature of Oklahoma courts, too. While Robyn Allen’s first felony got her a 20-year sentence and no offer of drug treatment, Watkins has been charged with three felonies and four misdemeanors since 1998, yet has avoided a lengthy prison sentence and was offered treatment multiple times. In a case last year, Watkins was charged with drug possession within 1,000 feet of a school. She faced a potential 10-year sentence for the crime in Pittsburg County, an area of southeastern Oklahoma known for its poverty and high number of meth labs. Instead, prosecutors offered Watkins a stint at Eddie Warrior’s Regimented Treatment Program – a boot camp-style program that lasts up to a year. 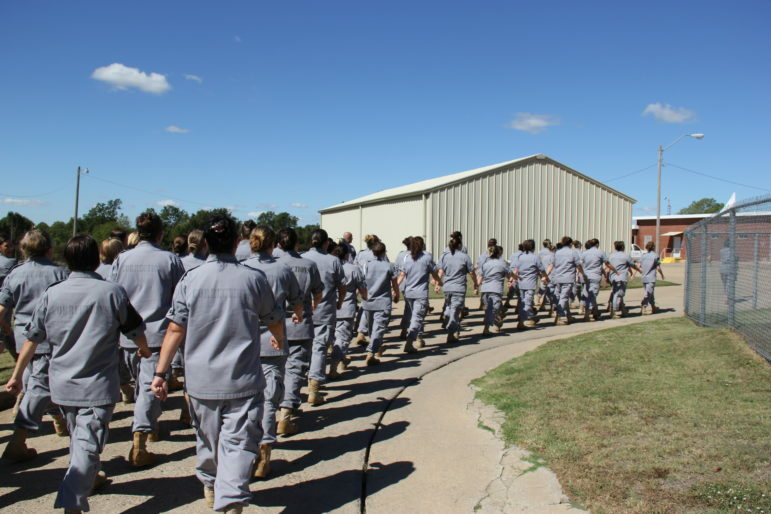 Women in the program routinely march in formation around the prison grounds, with cadences led by inmates within the unit. They conduct drills and exercise together, with a focus on personal discipline. Unlike many prison cultures, the unit is clean and quiet; bunks are squared away. Female inmates at the Dr. Eddie Warrior Correctional Center sing and march around the yard as part of their Regimented Treatment Program. It’s a boot camp-style program that lasts up to a year. There, Watkins enrolled in a communications class, worked on obtaining her GED certificate and started learning to read, something she never mastered during her traumatic childhood. Released from prison in December, Watkins now is living in Tulsa. 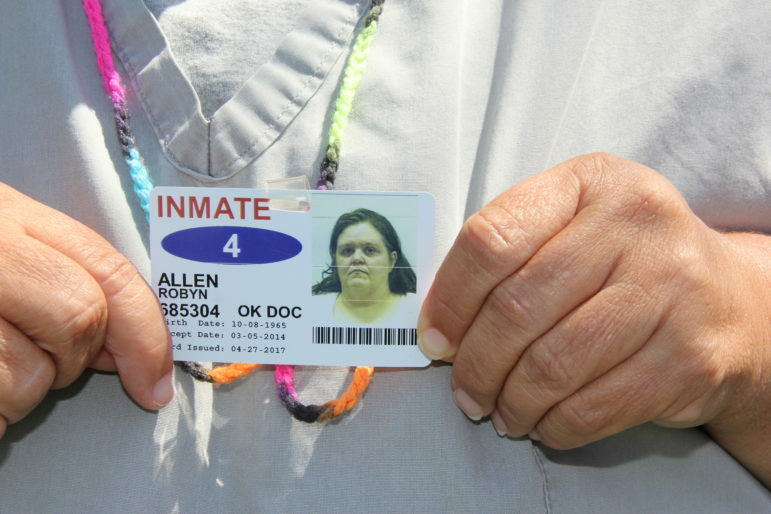 Women who end up in Oklahoma’s prisons often lack a basic education. The state had the nation’s deepest cuts to education on a per-student basis. Students in nearly 100 districts attended school four days a week last year because their districts couldn’t afford five-day weeks. In a recent local news story, veteran Oklahoma defense attorney Rob Nigh blasted the state for locking up so many of its residents at the expense of educating them. Nigh recently retired after running the Tulsa County public defender’s office. “I know where my clients come from,” Nigh told The Frontier. “They are the ones that don’t graduate. “And instead of investing in teachers and equipment and technology and a higher level of education, we spend our money designing new prisons and figuring contracts with private corrections corporations, which is totally backwards. This story was edited by Amy Pyle and copyedited by Nadia Wynter and Nikki Frick. Ziva Branstetter can be reached at zbranstetter@revealnews.org. Follow her on Twitter: @ZivaBranstetter. Data obtained by Oklahoma Watch shows that six out of 10 women in prison have mental illness, which is about twice the percentage of men. Women are five times as likely to be suffering from trauma disorders.